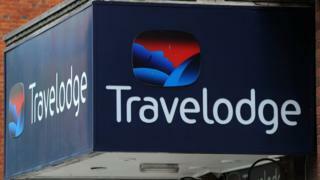 A drug dealer who operated out of a Travelodge hotel has been given a five-year sentence. Ibrahim Mohamed, 20, looked after a "significant" amount of heroin and cocaine in a room while two associates sold the product on the street. When police raided the hotel, Cambridge Crown Court heard, Mohamed attempted to throw drugs out of a window. Mohamed, from east London, was found guilty of possession with intent to supply. He was arrested when police swooped on the hotel on Chieftain Way in Orchard Park on 7 October 2017. Mohammed and his accomplices, who have never been traced, were placed there by a London-based gang as part of a so-called county lines operation, the court heard. It usually involves dealers in large cities using vulnerable people to peddle drugs in other parts of the country. Naeem Karbhari, defending, said the case was unusual in that county lines gangs usually commandeer the homes of local drug addicts in a practice known as "cuckooing". Judge David Farrell QC said the use of a hotel room brought an "added sophistication" to the case. Mr Karbhari said Mohamed of Brading Crescent, Wanstead, had been roped into the operation after running up drugs debts himself. He told the court that his client had "vulnerabilities" that made him "the ideal candidate... to do the function of cuckoos". "He is someone that has been brought up [to Cambridge], placed in that room and, to some extent, exploited," Mr Karbhari. "He fell into drugs debt, particularly cannabis... because of that debt he was exploited by individuals." Judge Farrell told Mohamed he had been "dealing in misery so you and your friends can make money". "You knowingly looked after the drugs in the hotel while the other two associates went out selling them," he said.